Launch of the website on September 21, 2015. 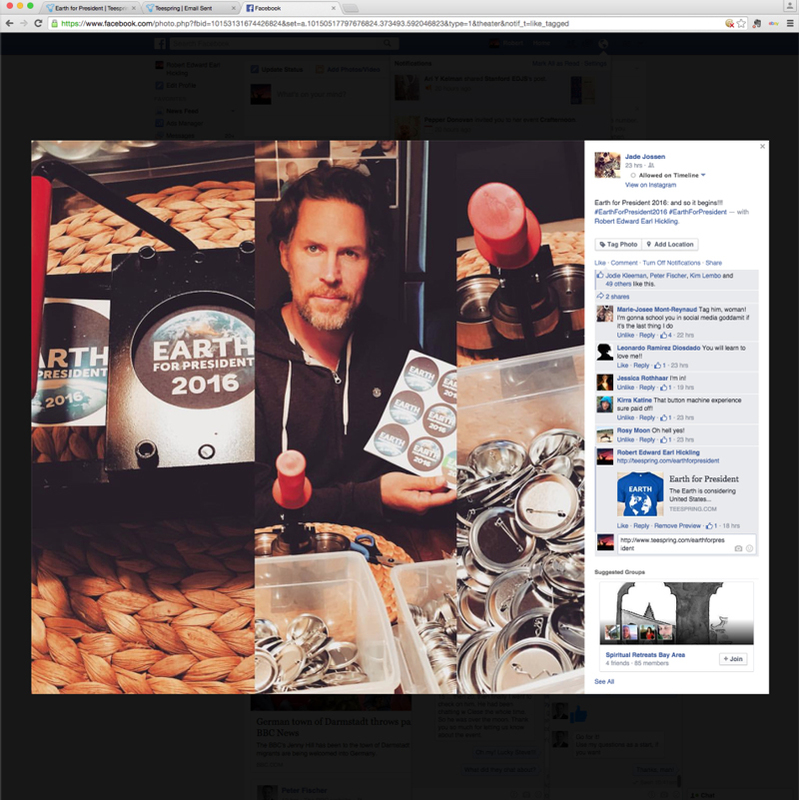 August 29, 2015 First Earth for President button made on volunteer Kiersten Lammerding’s button machine. Robert Wyald in the first EFP leaked photo onto the internet. Shows the button and logo redesign. 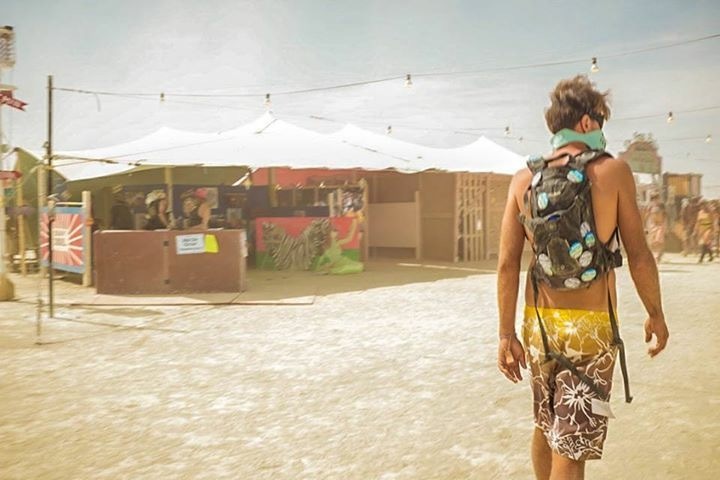 The Earth for President buttons first foray into the public was the Burningman Playa. Here volunteer Frank Wooten bears the message to the people. On a beach the idea came through. 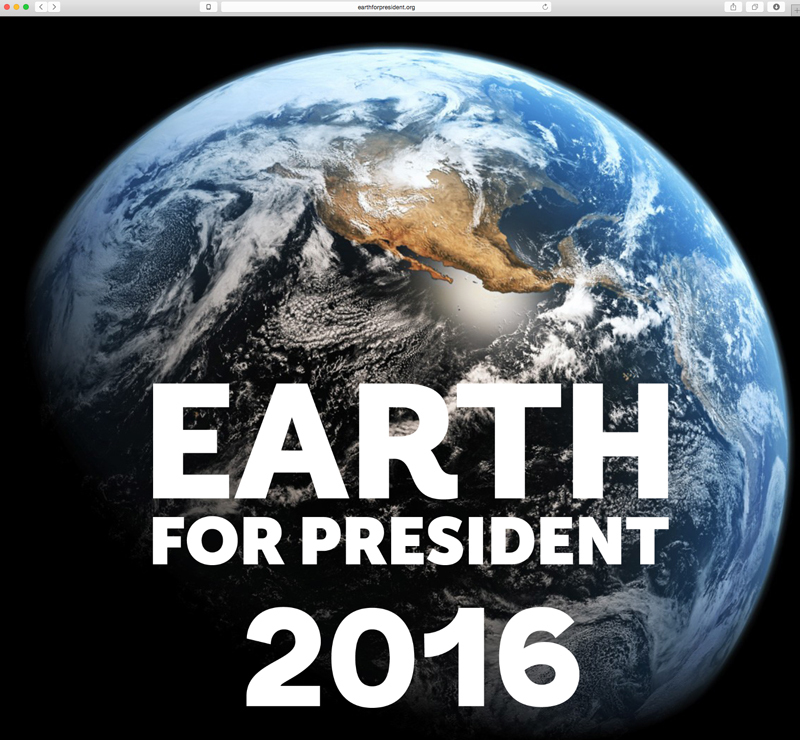 Earth for President, a genuine campaign and a meme that might help shift perspective. 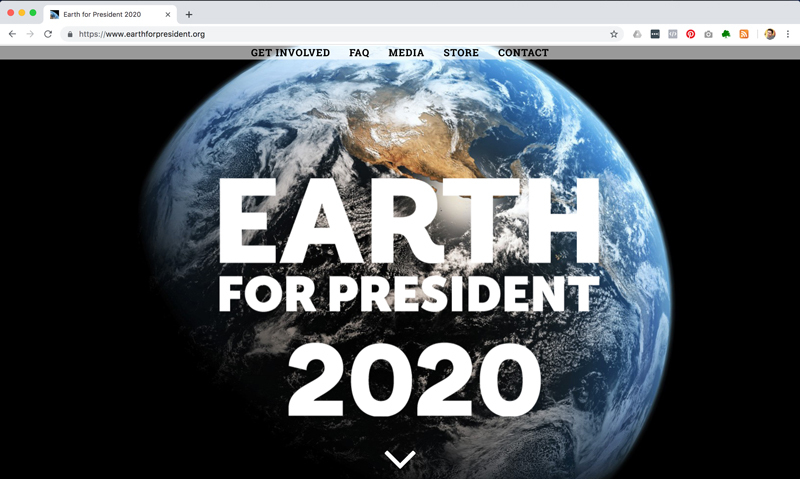 We imagine campaigns being run in all countries to elect Earth as leader. We formed our exploratory committee and are in the midst of the campaign right now. “Oh hell yes!” -Rosy M.